As more and more homeowners entertain outdoors and make the most of time spent outside, outdoor spaces have become extensions of indoor spaces. Homeowners want some of the same comforts they enjoy inside, such as outdoor kitchens, built-in fireplaces, and comfortable furniture. 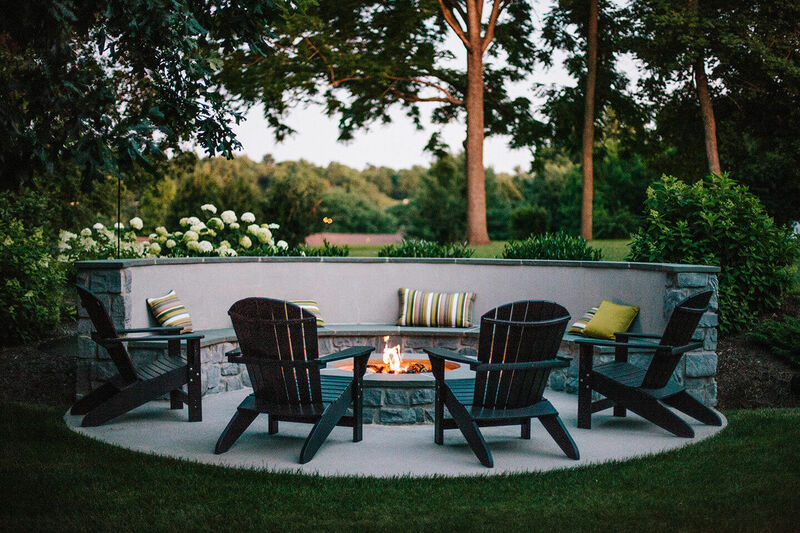 Creating a relaxing, stylish outdoor living space or outdoor room can greatly increase the appeal and value of your home. It will also offer that oasis you need to relax on the weekend and enjoy the peace and tranquility that nature provides. Beautiful patios can be designed using materials such as concrete, flagstone, pavers, and brick. They can include built-in grills, appliances, cabinets, and fireplaces. 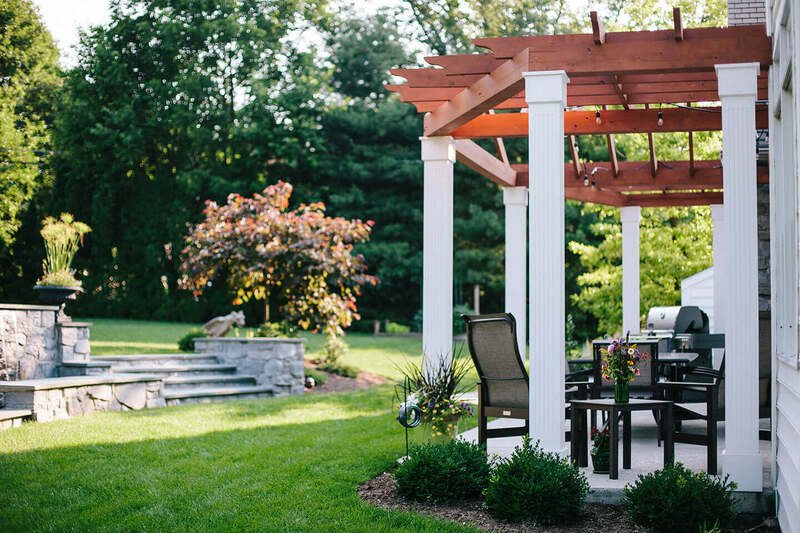 They can connect to your home or be completely detached, such as a gazebo or pergola. They can be a focal point for entertaining or a nice place for some quiet time to sit back, relax and enjoy the sunset. We offer custom-built composite or pressure-treated decks. A composite deck, such as Timbertech, Azek, or Trex is more resistant to the elements than traditional wood, and it provides added durability, mold and mildew resistance, and a splinter-free surface. It comes in a variety of colors and grains, retaining the look and feel of traditional hardwood without annual sealing and staining.